Bahia, otherwise known as the “African Capital of Brazil” is one of the most well-regarded and culturally-rich states in Brazil. 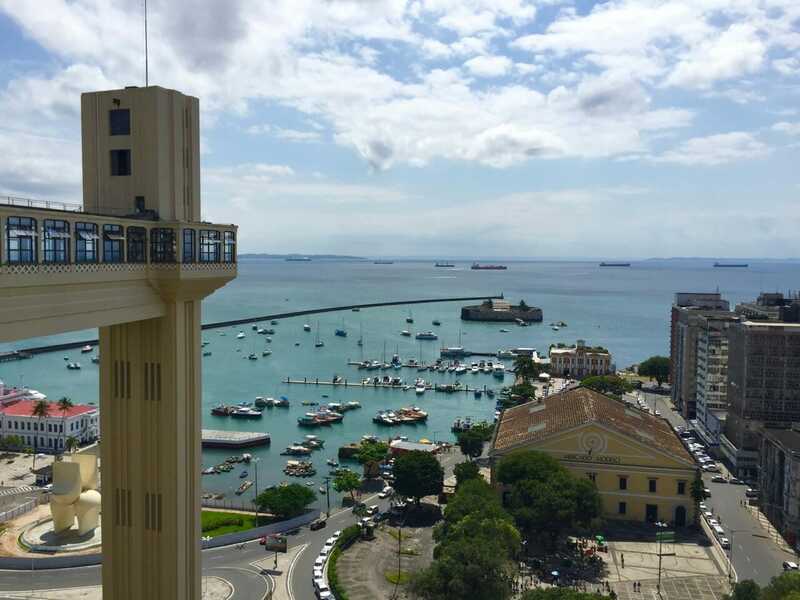 Home to the coastal city of Salvador, the first ever capital of Brazil, Bahia is filled with history, atmosphere and culture that has led many to claim that the very soul of Brazil resides in this region. And you don’t have to go far to see why. On the southern coast of Bahia, the beautiful city of Porto Seguro is where Pedro Alvares Cabral first “discovered” the ancient lands of Bahia in 1500. Cabral claimed the land for the Portuguese Crown before proceeding with his mission to India. Under Portuguese rule, the city of Salvador was established and soon became the administrative and cultural epicenter of the Portuguese-owned areas in the Americas. The following year, Italian Amerigo Vespucci arrived in Salvador and named Baía de Todos os Santos, or the Bay of All Saints, after he found it on All Saints Day. The bay became a distinguished part of the region, which subsequently led to the state being known as Bahia (“Bay”). Following its “discovery”, Salvador de Bahia soon became the site of the first slave market in the New World, leading to a unique blending of European, African and Amerindian cultures. African slaves were used heavily on the region’s sugar plantations, which led to the area becoming the center of sugar cultivation and the slave trade between the 16th and 18th centuries. Strong links to Western Africa are evident throughout Bahia, from the African-derived samba to spicy African foods and the development of the martial art of capoeira. To get the real experience of Bahia, many tourists opt to take capoeira or samba lessons from some of the world’s greatest teachers during their time in the region. Getting to know the culture through music and dance is one thing, but a direct route to the heart of Bahia is through the sampling of its traditional food. 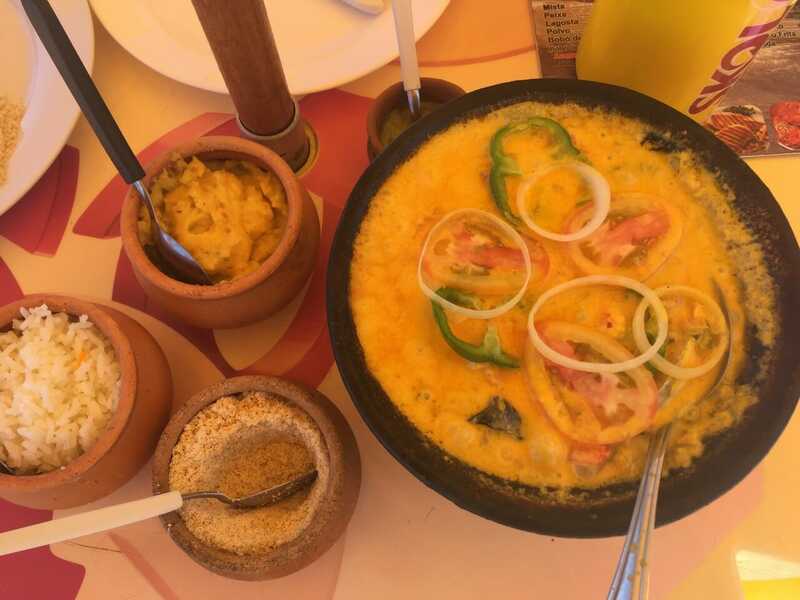 Known for its African influences, the indigenous and Portuguese elements of Bahian cooking are evident in dishes such as moqueca, which is a hearty fish stew available throughout the region. The laid-back nature of Bahia means that cuisine is to be enjoyed slowly here; so, if you find the food on the spicy side, simply take your time and drink plenty of water! 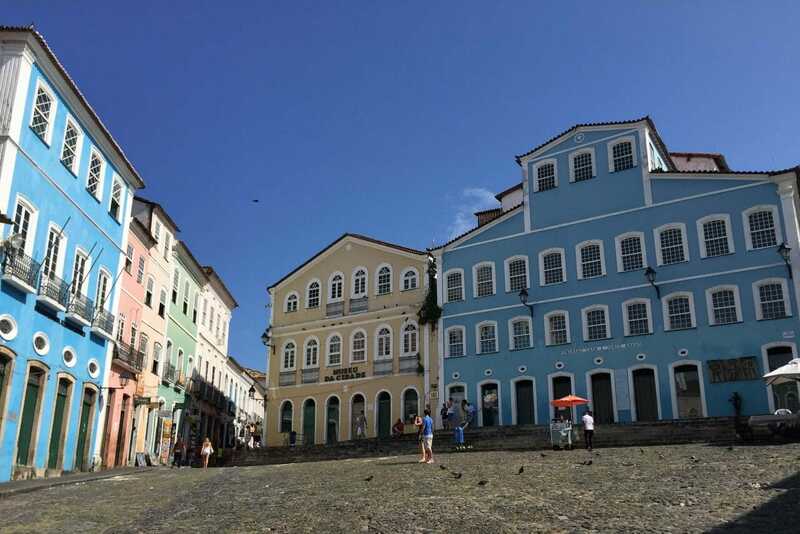 Bahia also features some of the country’s oldest colonial architecture, making it a hotspot for anyone who lusts after timeworn buildings steeped in history. The city of Salvador beautifully preserves its architectural monuments, magnificent mansions, baroque churches and ancient forts. 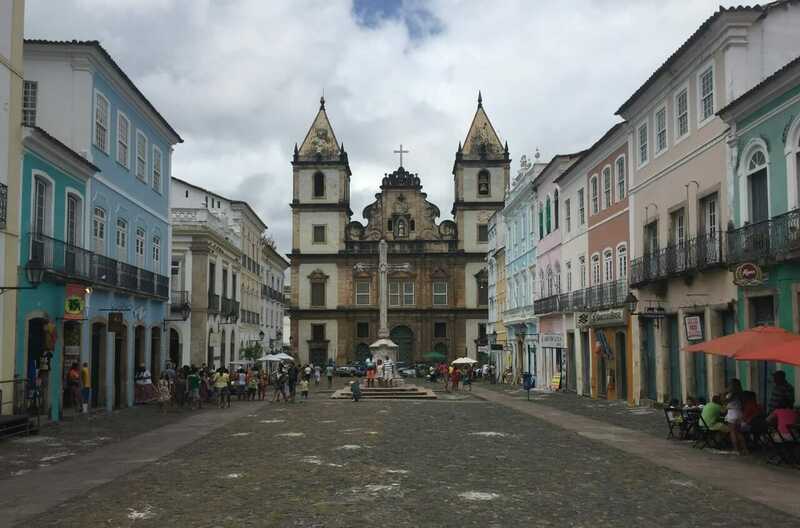 For some of the greatest examples of the area’s buildings, it is worth taking a stroll around the UNESCO World Heritage Site of Pelourinho to soak up the colonial ambiance and cobblestone streets. For those who prefer to escape the city, Bahia is also rich with national parks such as the Chapada Diamantina, which offers more than 600 square miles of rafting, canyon climbing, hiking and camping. Surfers would also do well to pay a visit to the Itacaré: the home to the famous Boca da Barra break, which runs a mile along the coastline. 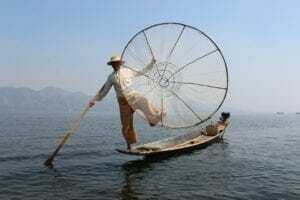 Locals and tourists alike love this area for its choice of 15 beaches, local music, relaxed vibe and traditional food. 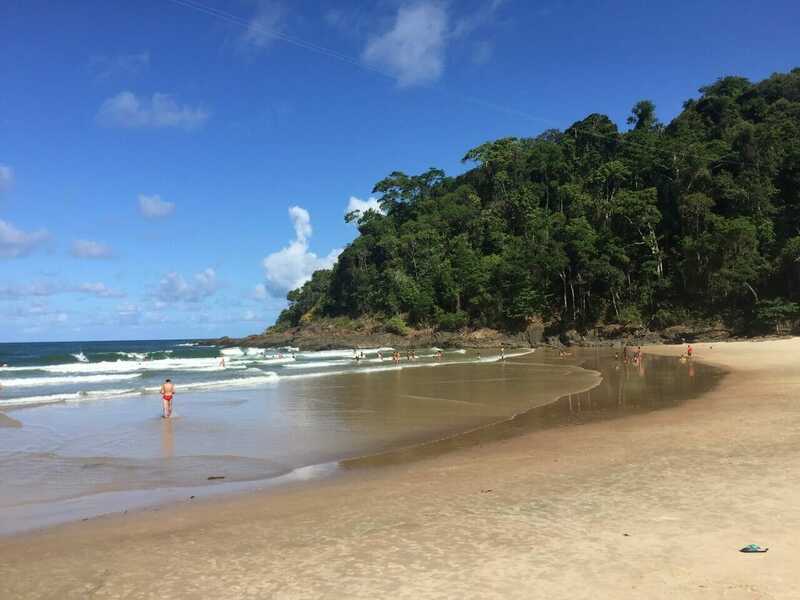 There are plenty of other reasons to check out the beaches in Bahia, too, and whale watching in Porto Seguro is one of them. Though it is largely dependent on the seasons, whale watching is well worth the wait thanks to the enormous baleia jubarte, or humpback whales, that migrate through the area. Book yourself on a guided tour to bag a close-up experience with these beautiful creatures and consider it money well spent. Other places in Bahia’s coastline that there are worthwhile visiting are: Morro de São de Paulo, an island part of the Tinhorn Archipelago located in the south of Bahia, 60 Km of Salvador; Boipeba, an island also located in the Tinharé Archipelago that was elected in 2013 by Trip Advisor as the second best island in South America; Península de Maraú, Ilhéus and Praia do Forte, a fisherman village from the XVI century located 70Km north of Salvador. 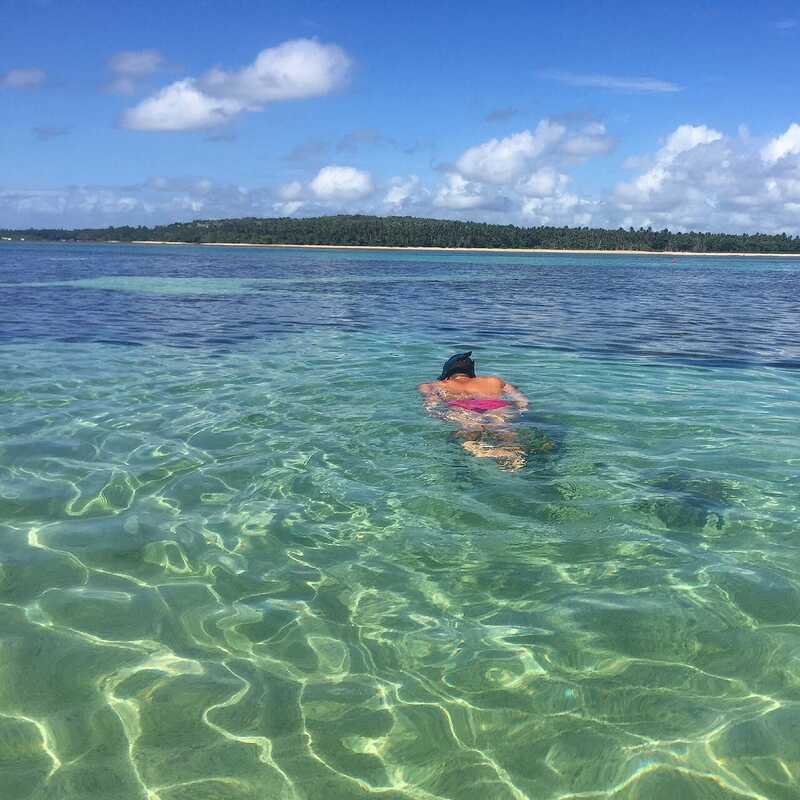 There is so much to explore in Bahia that it is unlikely that anyone could leave the area disappointed. The food, coastline, parks and cities have so much to offer that it would be impossible to fit it all in one visit. Perhaps this means you simply must come more than once. Bahia is located in the northeastern part of Brazil on the Atlantic coast, (check map here). There is an international airport in Salvador, Deputado Luís Eduardo Magalhães, and in Porto Seguro; and a domestic airport in Ilhéus. TAP Portugal and Air Europa are the airlines companies that connect Salvador with Europe. Best time to visit Bahia? You can visit Bahia all year-round, but it rains a lot and there is higher levels of humidity between April and June. The best time to visit Salvador and Porto Seguro is during the summer, from December to March. And if you want to enjoy the carnival you should visit those two cities in February. 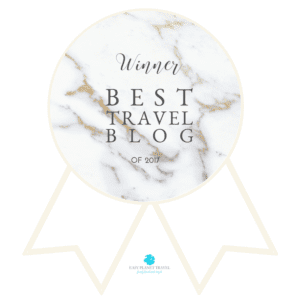 Salvador Hotels: Sheraton da Bahia and Pestana Convento do Carmo. Itacaré Hotels: Txai Resort and Ecoporan Hotel Charme Spa & Eventos. 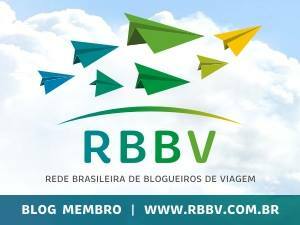 Ilhéus Hotels: Jardim Atlântico Beach Resort and Cana Brava All Inclusive Resort. Boipeba Hotel: Check Restaurants and Hotels in Boipeba.